Is this new energy storage tech worth its salt? Vattenfall has launched a new pilot project to explore how salt could be used to store renewable energy sources like solar and wind power. It is working with Swedish company SaltX Technology, whose development is based on a nano-coated salt, which it says enables the “salt battery” to be charged several thousand times and the energy can be stored for weeks or months without losses. It is claimed to have proven to store up to 10 times more energy and for much longer periods than water. 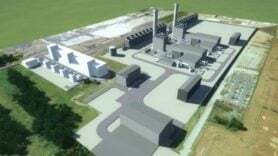 The technology will be tested on an industrial scale for the first time at Vattenfall’s Reuter thermal power plant in Berlin, which will be taken out of service next year as part of the company’s plan to completely phase out coal as a fuel in its heating operations by 2030. If you are interested in showcasing your technology, you can get in touch here.